This article, written by Jennifer Tan (left, Director, Research & Products, Equities & Fixed Income, at the Singapore Exchange), originally was published in SGX's kopi-C: the Company brew series on 14 October 2016. The article is republished with permission. The circus - with its acrobats, animals and Big Top - has always held a special magic for Cityneon Executive Director Ron Tan. "The circus has always been a big thing for me, since I was a kid. I remember the huge tent, the clowns and jugglers, the smell of the animals," Tan recalled with a grin. "Over the decades, the industry has evolved, and the animals have gone. Now, it's all about Cirque du Soleil." Guy Laliberte, the co-founder of Montreal-headquartered Cirque du Soleil, or "Circus of the Sun", eventually became Tan's muse. "Laliberte was a fire-eater and stiltwalker who transformed the traditional circus show into a multi-dimensional art form by creating a myriad of experiences and sensations," he said. "That really inspired me, and I wanted to do the same thing for the exhibition industry." Tan, producer of the award-winning Australian children's TV program Hi-5 House, co-founded Victory Hill Exhibitions Pte Ltd in 2012 with Nicholas Cooper, four years after they met through a mutual friend. Tan became the Chief Executive Officer of the exhibition production and distribution company, and Cooper, its Chief Creative Officer. Our show is a success if the audience walks away humming one of the tunes, or with a memory of a scene playing in the back of their minds. It's all about the experience, and VHE's goal is to create different experiences for different people. 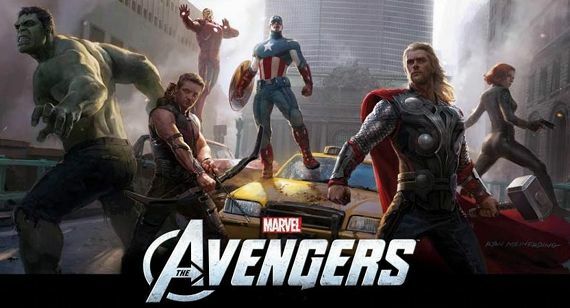 After a long courtship, VHE finally signed a multi-year contract in 2013 with Marvel Entertainment, a wholly owned unit of Walt Disney Company, to develop interactive exhibitions under the Avengers S.T.A.T.I.O.N brand. That contract was later extended to 2024. Last November, it also signed a multi-year deal - extending through 2023 - with Hasbro for the Transformers Experience franchise. "Today, most people have the attention span of a mosquito, and no one wants to spend money to see a static exhibition," Tan said. In contrast, Cirque du Soleil shows are prime examples of how to create interactive, immersive experiences for audiences through music, lighting, technology and drama, he noted. The company held its Marvel exhibition, featuring Captain America, the Hulk, Iron Man, Thor and Black Widow, in Paris between April and September this year. In June, it also opened a permanent Marvel exhibition in the Treasure Island Hotel & Casino, located on the world-famous Las Vegas Strip. VHE will unveil The Avengers in Singapore later this month, with the interactive exhibition taking up 20,000 square feet at the Science Centre. Similar Marvel installations will be rolled out in Taiwan next June, and in Australia in December 2017. It will also launch the Transformers exhibition, using revolutionary technologies such as 3D, robotics and multimedia, in Las Vegas and China next year. Tan, a Bachelor of Science graduate from the University of Hawaii, was appointed to Cityneon's Board as Executive Director last November after VHE became a wholly owned subsidiary. Cityneon Holdings Ltd purchased VHE through a cash-and-stock deal worth over S$20 million in September 2015. The move added a new segment - Intellectual Property (IP) Rights - to its stable of four traditional businesses, comprising Interior Architecture, Events, Exhibitions and Experiential Environment. Established in 1956 as a supplier of electrical appliances, Cityneon has morphed into an ideas agency, specializing in remoulding customer and brand experiences through its interior architecture, experiential events and exhibitions business divisions. As long as you focus on fundamentals, I believe the right opportunities will open up. It was listed on the Mainboard of the Singapore Exchange in 2005, and has a current market capitalisation of over S$220 million. Bursa Malaysia-listed Star Media Group Bhd owns 52.5% of Cityneon, while Tan is its single largest individual shareholder with a 16.4% stake. Earlier this year, Cityneon placed out 40 million new and vendor shares to China-based strategic investor China Media Capital, as well as other institutional and financial investors, raising net proceeds of S$10.6 million. CMC, a media and entertainment investment group founded by Chinese tycoon Rui Gang Li, has a fund size of US$1.6 billion. Its portfolio includes Star China, TVB, Oriental DreamWorks, and Hong Kong-listed IMAX China. This alliance enables VHE to leverage on CMC's government and industry contacts to expand in China. It also allows the company to deepen its relationships with studios through CMC's existing partnerships with Disney, Warner Brothers, and 21st Century Fox. In the 2016 year-to-date, Cityneon shares have generated a total return of 183%, with their value nearly tripling over the period. In comparison, the benchmark Straits Times Index (STI) and the broader FTSE ST All-Share Index have registered a total return of 1.0% and 3.5% respectively in the year thus far. Global peers that focus on experiential exhibitions and entertainment include New York-listed Viad Corp, as well as Paragon Entertainment Ltd and Merlin Entertainments PLC, both listed on the London Stock Exchange. Regional peers include SGX's Kingsmen Creatives Ltd, Kosdaq-listed Sigong Tech Co Ltd, and Pico Far East Holdings Ltd on the Hong Kong Stock Exchange. Looking ahead, Cityneon will capitalise on alliances for future growth - whether it be partnerships with studios, key players based in local markets, or strategic shareholders like CMC, Tan said. "Our strongest leverage is the relationship that VHE/Cityneon has built up with Disney/Marvel and Hasbro. We've learnt a lot from the operating processes of these studios, while at the same time riding on the successes of their movie franchises," he added. Cityneon's relationships with Singapore broadcaster Mediacorp, French broadcaster TF1, South Korea's Samsung Electronics, and Las Vegas-based billionaire businessman Phil Ruffin, will also extend its reach globally, Tan noted. And the outlook is bright, given the strong pipeline of movies for both the Avengers and Transformers franchises that extend through 2020. Cityneon expects to reap the full benefits of the VHE acquisition in its earnings from 2017. "We are well-positioned as an extension of Walt Disney's marketing arm," Tan said. The next step is to expand in Las Vegas. "We're looking for installation opportunities, as we only have one there at the moment," he added. VHE is also in the midst of sourcing licensing rights for the third franchise that could be launched in 2018. "We're looking for new IP rights, seeking popular IP as well as core IP, like the Avengers and Transformers, which resonate and can stand the test of time." Core IP commands a large fan base that is sustainable over multiple years. "Frozen - the movie - is what we consider popular IP, but the question is whether it can develop into a core IP, still generate more than US$1 billion in ticket sales many years later," he said, referring to the musical fantasy produced by Walt Disney Animation Studios and released in November 2013. Frozen ranked as the highest-grossing animated film of all time, the highest-grossing film of 2013, and the best-selling film in 2014 in the US. Another source of IP could be the Titanic, the Mona Lisa or original artifacts, such as those associated with Qin Shi Huang, the founder of the Qin Dynasty and the first emperor of China. "If you take a few hundred artifacts and set up a traveling exhibition through Europe, the ticket revenues at each location would be massive. The question is whether you can secure the licensing rights, and not whether you can make money from such an exhibition," Tan said. Another key challenge is growing the talent pool. "One of the risks is whether we can create a product that will resonate with the masses, but so far, our creative team has done very well." For example, the Avengers S.T.A.T.I.O.N (Scientific Training And Tactical Intelligence Operative Network) is a narrative-driven, walk-through exhibit set within a high-tech environment. Providing a multi-sensory, immersive experience, and featuring original sets, props, as well as costumes, the exhibit takes participants deep into the world of the Marvel characters and the science behind the superheroes. "Obviously, there are high barriers to entry through our use of advanced technologies," he added. Essentially, VHE has a four-tiered structure - the executive management or CEO at the top, followed by Chief Creative Officer Nicholas Cooper's team, the operations group headed by Chief Operating Officer Olivier Katz, as well as the technical team led by Chief Technical Officer Michael Mattox, Tan said. "We've built VHE as a personality-neutral organisation, and these are the four pillars that will propel the company forward." On the personal front, the core values that Tan upholds include learning from mistakes, focusing on fundamentals, and the importance of family. "The years of experiences - the many ups and downs - will give you a number of reference points for future decisions that you need to make," he noted. "We should all try to learn from our mistakes and not repeat them. But the tendency is that we as humans tend to repeat our mistakes, largely due to certain personality traits," he added, with a wry smile. At the same time, staying focused is critical. "Sometimes, it's really not about your own efforts. A lot depends on opportunities and timing, as was the case with how we clinched the Marvel contract," he recalled. "As long as you focus on fundamentals, I believe the right opportunities will open up." Needless to say, a stable family is important in providing support and perspective. Tan has two daughters, aged four and 19. "I learn a lot more from my 19-year-old than she does from me," he admitted with a laugh. "Her innocence and enthusiasm - always wanting to save the world - embodies a pure and happy spirit, and some of that rubs off on me." Adults also tend to be more hardened and cynical, in contrast to the guilelessness and openness of the young. "Kids can teach you a lot of things - they are transparent, always ready to ask for help, while we tend to hold back, due to pride or fear." Tan remembers his own childhood, where he experienced little family time due to his parents' busy work schedules. "I want to avoid developing that same pattern with my own family," he said, adding that his family time usually involves playing board and card games with his daughters. "The family is where your core values are. If you look at how your kids respond to you, how close they are to you, all those characteristics are a true reflection of who you are," he noted. "It's all about how your family influences you and how you, in turn, influence your family. That dynamic is what keeps me going." While the operating landscape remains challenging on the back of the uncertain global economic outlook, the Group will continue to position its focus on the expansion of its IP Rights business in 2H 2016. The travelling Avengers S.T.A.T.I.O.N set is expected to be launched in Singapore in October 2016, followed by Taiwan and Australia in 2017. The Group is also targeting to launch its new Transformers' sets in Las Vegas and China in the next few months. All these initiatives are expected to contribute positively to the Group's performances. VHE has recently announced the expansion of its Creative Team with new senior hires in preparation for these launches and for expansion beyond its existing intellectual properties (Avengers and Transformers). China remains an important market for the Group, in addition to its current focus in Las Vegas. Cityneon is a leading service provider of creative solutions in the area of Interior Architecture, Events, Exhibitions and all manner of Experiential Environment to global corporations, brands, businesses, governments and international agencies worldwide. It has also developed very specialised expertise in the area of conceptualising, designing and building of Museums, Galleries, Theme Parks and Attractions, including National Pavilions at World Expositions. Through immersive storytelling and state-of-the art technologies, Cityneon creates breathtaking and emotionally stirring experiences. The Group's network across the world, together with our international partnerships, provides the company the opportunity to serve its clients globally. For second quarter financial results for the period ended 30 June 2016, click here.